Asphalt and the road are elements with a very high level of technology. In fact, when executing an asphalting project, it is essential to analyze all possible variables before a construction decision is made: type of road, asphalt layer, traffic, type of aggregate, technical needs of the construction project, namely noise reduction, durability, drainability. CIRTEC’s team has a technical body that possesses the highest expertise in asphalts, particularly with regard to asphalts modified with end-of-life tyre powder. 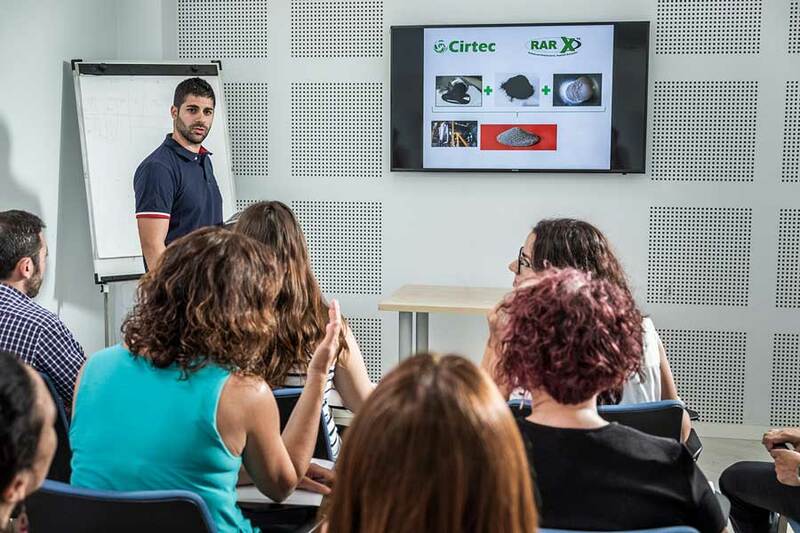 CIRTEC has laboratories for asphalt mixtures and bitumens where each project can be analyzed technically, in order for us to be able to advice our customers on the best construction solutions. Our philosophy of quality has enabled us to work together with research centres such as CIDAUT (Foundation for Research and Development in Transport and Energy), or prestigious universities such as Universidad Politécnica de Madrid (Polytechnic University of Madrid) and Virginia Tech.